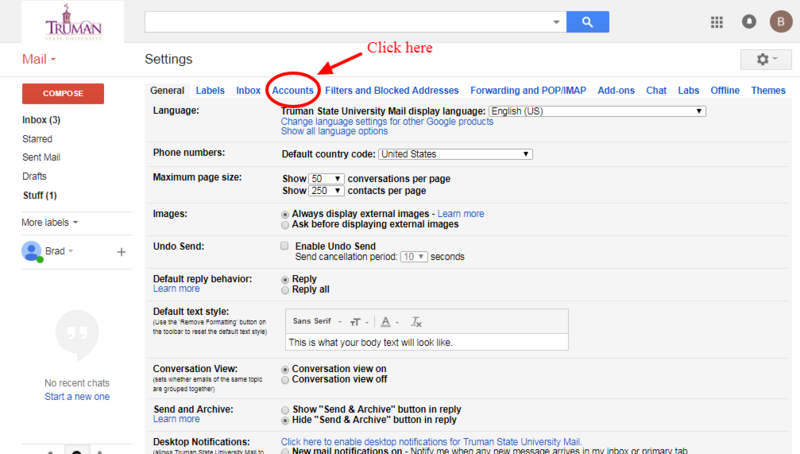 Here are the simple steps to changing your display name for your Truman email account with some screenshots to help. Then, select the ‘Accounts’ tab at the top. 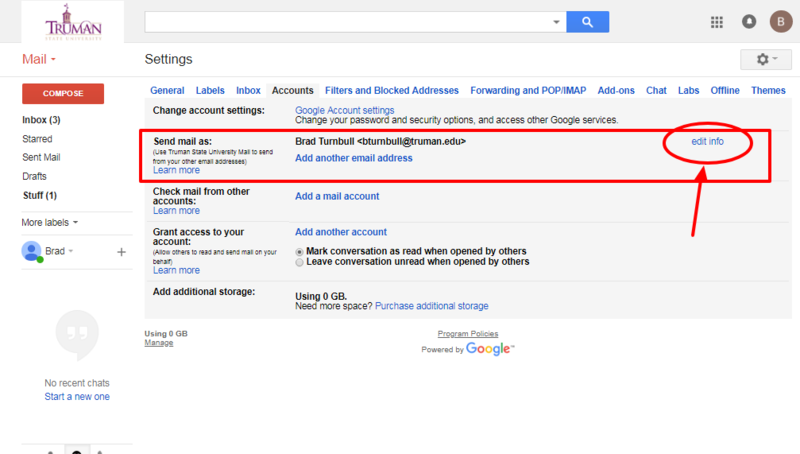 Find the ‘Send mail as:’ section and select the ‘edit info’ link to the right of how your name is currently displayed. From there, you will see an empty box below how the school lists your name. 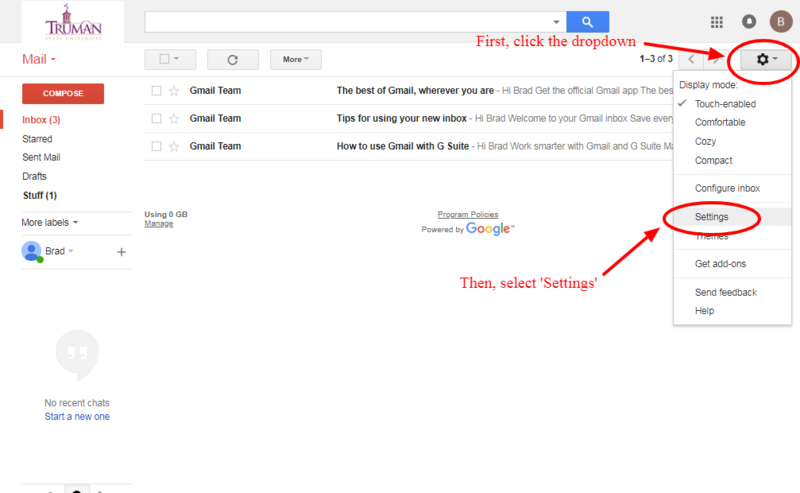 Select this option and type in your preferred name and how you would like it to display when you send an email. Select ‘Save’ and it should take you back to the previous screen, and your display name should appear as you typed it in.